I am 20 years old, I am a first-year student who studies mid-wife in University of Health and Science, I was born in Phnom Penh, I have 5 siblings and I am the youngest one. My mother is a nun who stay in the pagoda. My sister is a factory worker who and the main person who earns money to support our whole family with $150 a month. Life starts to learn from bad things that I cannot forget, and I am very afraid of that. In my family, we had violence, unhappiness, hardship and abandonement. At that time, I was very scared, and I watched as my father fought my mother, sister, and brothers. I didn’t know how I to help them because I was a small kid. When violence occurred in the family, my mother held me and ran around the house or village and then she would call someone for help. However, they could not help us because they were afraid of my father too. When I was young, violence happened every day. Furthermore, my mother did not have enough money to buy foods for children to eat. We ate nothing, and we cried together. When my family had a problem, my brothers and sisters always went to school to escape from the violence. After many years passed, my father had passed away. After that everything depended on my mother only. She tried to work to support my study. She gave warmth, happiness, and took care of me. My family is poor, but we are different from other families because my mother gave opportunities to her daughter and son to study. She has worked day and night for us, and she never cared about the condition of her health as she always worked very hard for us. She cares only how much she can change her daughter and son’s life. She said these words to me “I am poor, but I can give you a good chance in your life with education, even I can find only 155,000 Riel per month to work in a pagoda, I can be a fool, but my son and daughters must not have the same life as me.” I promised myself I wouldn’t give up my dream. There are some happy points to mention about my social working. First, I got a scholarship to study English for 2 years from the US embassy from 2013 to 2015. This program taught me how to live with other like traveling for 3 hours by riding bicycle to Kandal province, Clean Than pagoda with children. Second, I volunteered as a monitor of Pour Un Sourire D’enfant (PSE) during summer camp in 2014 for children to make them smile and happy with their vocation. Third, I had the chance from KYA (Khmer Youth Association) to go to Koh Kong for the 8th Angkor Youth Camp in 2016 to learn about the environment in Cambodia and meet famous people. Fifth, I volunteered in flow team for the Cambodia Book Fair in the National Library of Cambodia. Seventh, I volunteered as an English teacher for children at Global Peace Foundation (GPF) for three months from 1st December 2016 to 15th, March 2017. It was shocking for me to be an English Teacher. Besides, I like to learn new things. Eighth, I also volunteered for the Asian Cuisine Festival on April 1-2, 2017 at the National Olympic Stadium that it was organized by Pour Un Sourire d’Enfant, supported by the Ministry of Foreign Affair and International Cooperation, the Ministry of Tourism, and Ministry of Education, Youth and Sports. There are some advantages of doing volunteer work after I being offered the scholarship with ACE. First, I can help my community to take part to push young generation to be educated people. I have always applied to all volunteer program even I am really busy with my study. Besides of that, I am in love with volunteering because I am very glad to do things that I like to do. In addition, the volunteering improves my leadership abilities and I can contribute my time to my society. At ACE I can have a good place to living and learning new things. I can learn more about leadership, get experience and opportunities to work and gain some money for supporting my university. 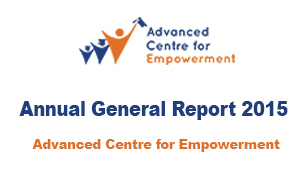 I can also be a part of the Advanced Center for Empowerment (ACE) to help our country. It is this scholarship that will give me a brighter life and let reach my goals successfully, get more skills to improve my network and get professional learning from ACE. I want to get professional learning and help my society to be better than before by contributing my time and heart to build it.